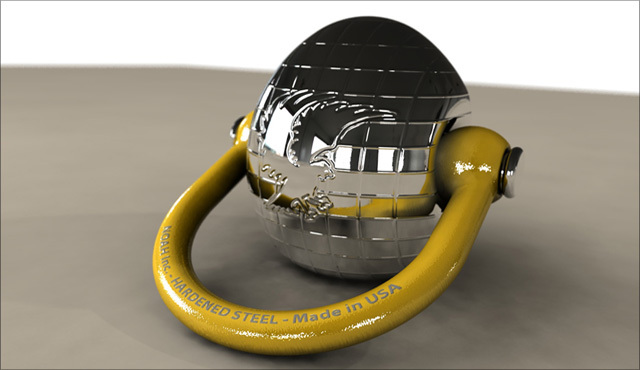 As part of the curriculum for a Solidworks 2 course at Pratt Institute, a metal egg form was modeled for a rendering demonstration. By adding decals and physical textures the object began to look real. Enabling depth of field and soft shadows also makes the final rendering near photo-realistic. 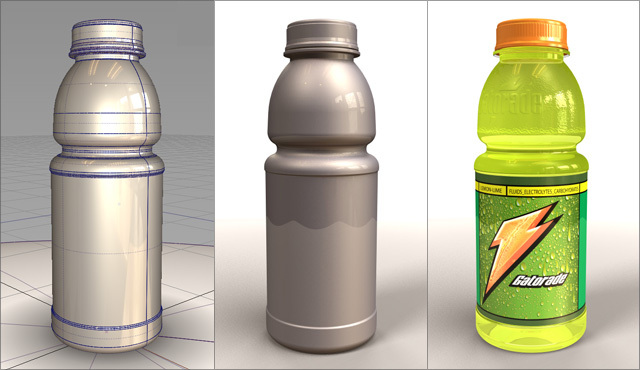 An entire family of innovative bottle concepts were modeled and visualized for Gatorade, a sub-brand of Pepsi-Co. 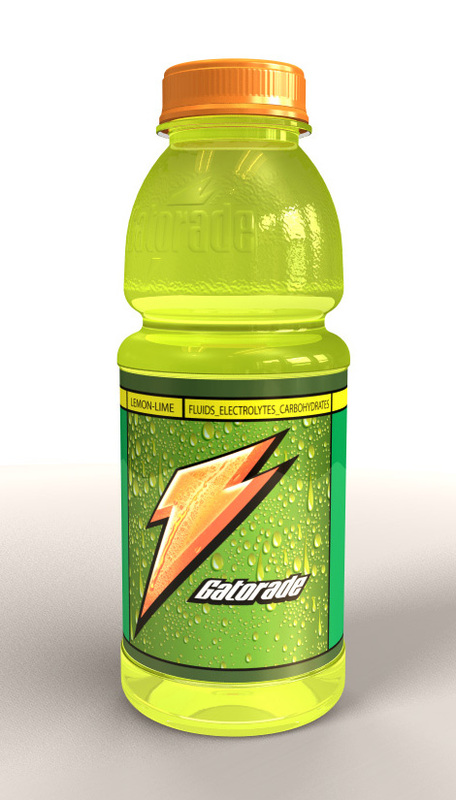 The concept work is confidential and may not be shown, but as part of the project a test rendering was made with a standard Gatorade bottle. Modeling was done in Solidworks and rendering was done in Alias Studio Tools. 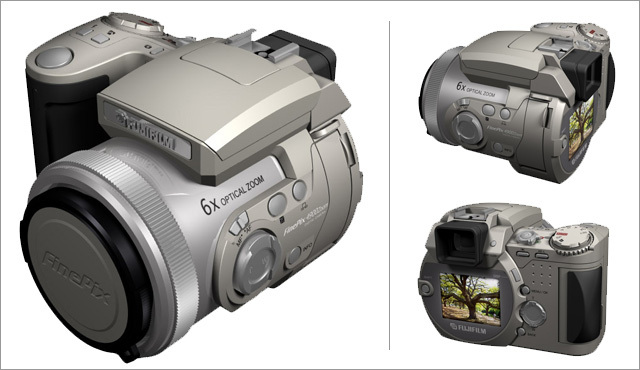 Photo-realism was achieved through the use of HDR environments, label graphics, and physical texture maps. Numerous forms and orientations were explored for an update to the classic crayon package. 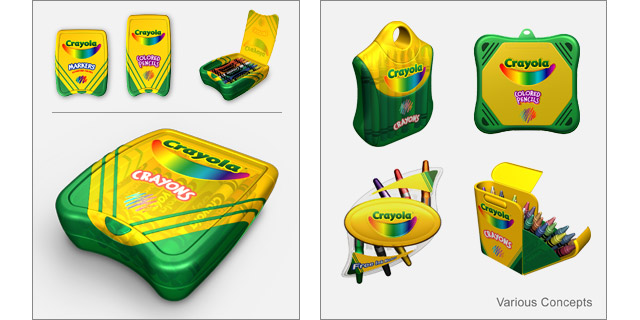 Not only did the new design have to be functional and low cost, but it had to be true to the legacy and heritage of the Crayola brand. Afters several rounds of development and refinement, a updated Crayola package was produced. 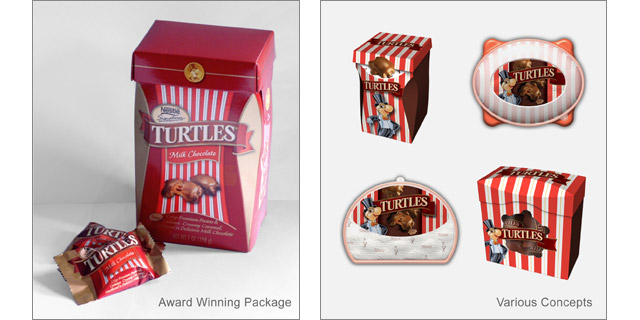 Several directions were explored for a new Nestle Turtles package that focused on both fun and freshness. After the most promising design underwent extensive consumer testing and was optimized for mass production, an award winning package was produced. For the last five years, I’ve taught 3d CAD computer classes at Pratt Institute, in Brooklyn. Rather than writing a textbook, I’ve chosen to publish my lesson plans and tutorials as screencasts on the web. Sandbox3 holds this video content and also functions as a community for CAD professionals and students. The core premise of the site is that each member has different permissions. This is achieved through a login database, storing credentials in the “session” data, and setting permissions for each page of content. The entire site is database driven and was built using the CodeIgniter PHP framework. Adding content is done through intuitive form-based uploading, and all content is served dynamically through the database and using Amazon’s cloud storage. This project is ongoing, with new content added regularly and the community of members growing each day.